Editor's Note: This book is part of the Big Picture Interactive Series from B&H Publishing. 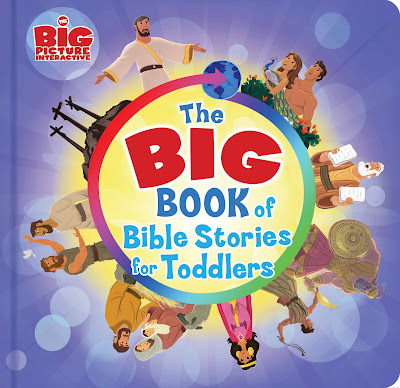 The Big Book of Bible Stories for Toddlers is a colorful and interesting take on this popular concept. It is aptly named "for Toddlers" as the durable construction and thick cardboard pages will not be destroyed by young children. The 19 stories chosen are typical for this style of book, but the corresponding illustrations are not. 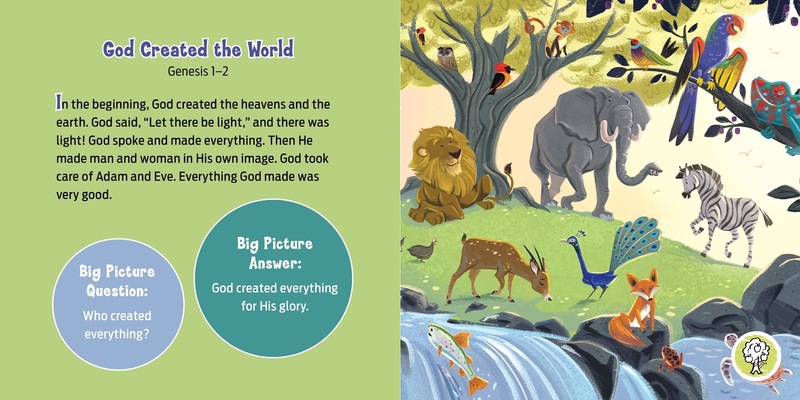 For example, while most stories about Noah's Ark show the animals entering the Ark, this book has the animals exiting the Ark under the glorious spread of a rainbow. Each page presents a fresh view of these well-known and loved Bible stories. Beyond the story on each page, there is also a "Big Picture Question" and a "Big Picture Answer". At first glance, it seemed like some of the questions had nothing to do with that particular story, but on further reflection, I realized that the question is meant to be a launching point for discussion about the "Big Picture" behind the story. These questions and answers could make for some interesting and spiritually profitable discussion with children older than the Toddler category who might also pick up the book to read the short, simple stories and see the vibrant artwork. Of interesting note, this book is connected to the B&H Kids app for smartphones. Once downloaded, a scene from the book can be selected and the picture on the page turns into a pop-up picture on the phone screen. 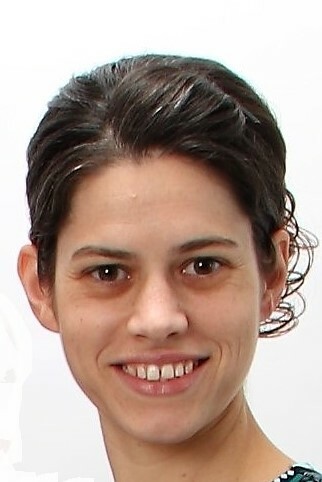 A woman's voice also begins to tell the story in more depth than the short story printed on that page. My toddler was not able to make this work unassisted as the phone needs to be held very still for a prolonged time, but he did enjoy seeing the picture in a new way and hearing the story anew. While there are many Bible story books for children, this book has a few interesting characteristics which help it to stand out from others similar to it. Purchase The Big Book of Bible Stories for Toddlers from Amazon.